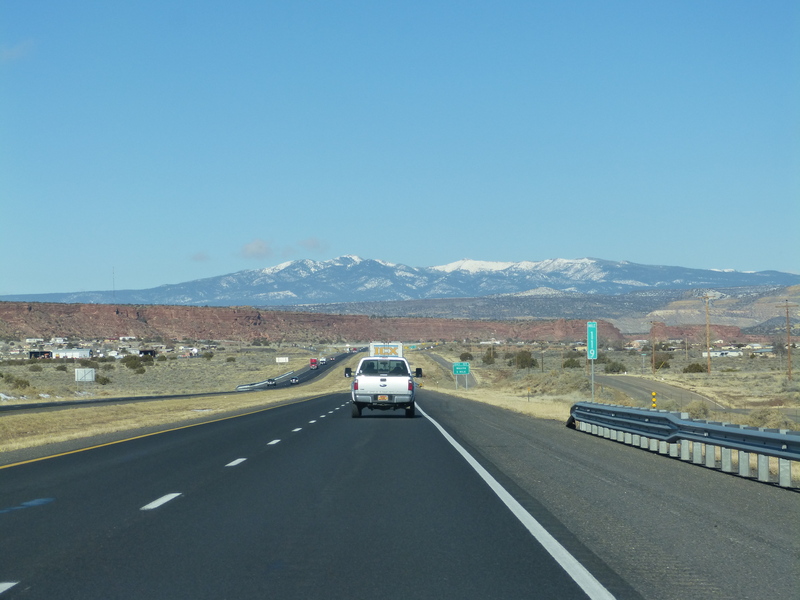 We flew West last Saturday, landed in Albuquerque NM and spent a very comfortable night at the airport Day’s Inn, then early on Sunday morning we collected our hire car and found the interstate without too much trouble (a major achievement for us). 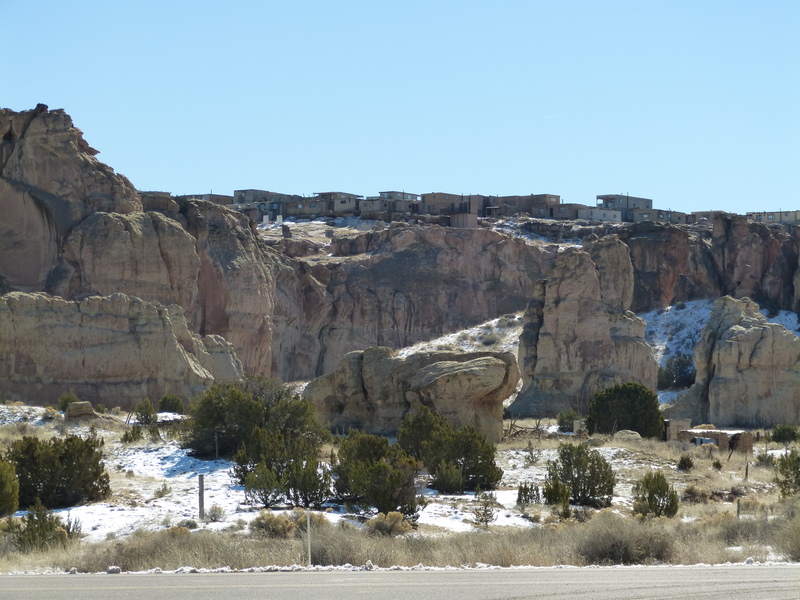 First stop was Acoma pueblo, which took us on a pleasant detour through tribal lands. We didn’t actually go up to the historic mesa-top part of the pueblo, but enjoyed coffee and a historical film in the visitor centre. We also met some local artists who were selling their wares, and learned a little about their traditional pottery. Back on the interstate we headed on to Grants (a former uranium mining town, which has clearly seen better days), where we ended up driving a little way along Route 66 to a great lunch at the Wow diner. Rather than continue along the interstate, we struck out into the badlands for El Morro, which turned out to be an excellent choice. El Morro translates as bluff or headland, and it is indeed a large rock promontory on an otherwise fairly flat plain. 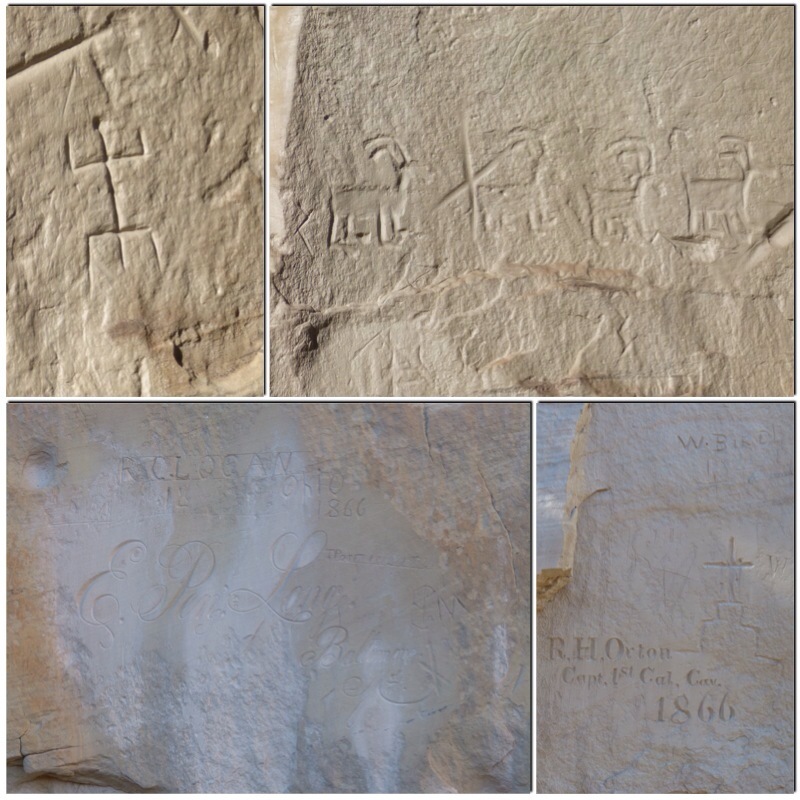 It was historically important as a source of water in the desert – apparently the nearest reliable water sources are around 35 and 40 miles away in opposite directions – and inscriptions on the rock faces around the pool include ancient Indian petroglyphs, and names and messages from Spanish conquistadors and later missionaries, American pioneers and travellers. 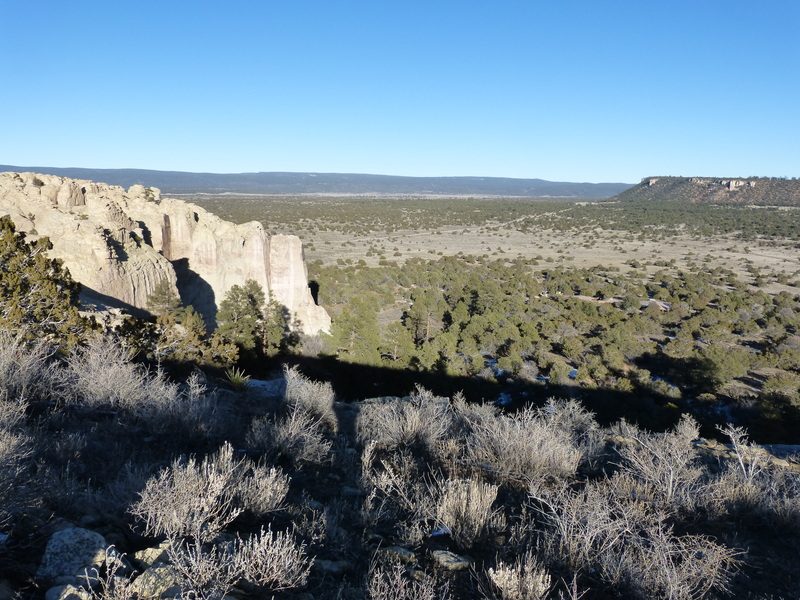 A very helpful ranger at the visitor centre recommended a walking route which passed the pool and inscriptions and then continued up on to the top of the mesa to a ruined pueblo site. 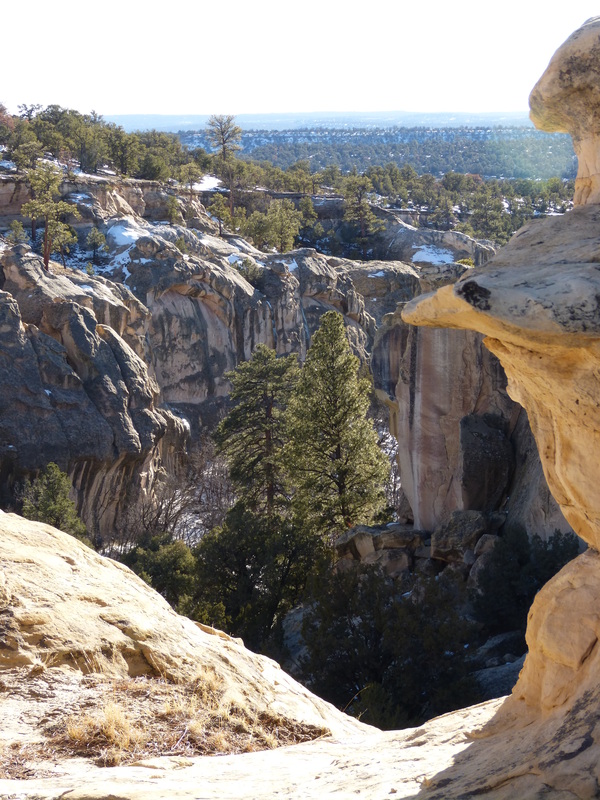 Although only about 2 miles in length, it took us 1.5 hours – the trail up the mesa was quite steep, and a little icy in places, and the route across the top was occasionally baffling as the trail was mostly just marked by two vaguely parallel lines etched into the (uneven) rock surface. It was a beautiful afternoon – cool and sunny – it was wonderful to be out in the fresh air, and the scenery was absolutely fantastic. Back in the visitor centre, we watched a short film about the history of the area before quite literally driving off into the sunset, humming Western movie theme tunes as we went. 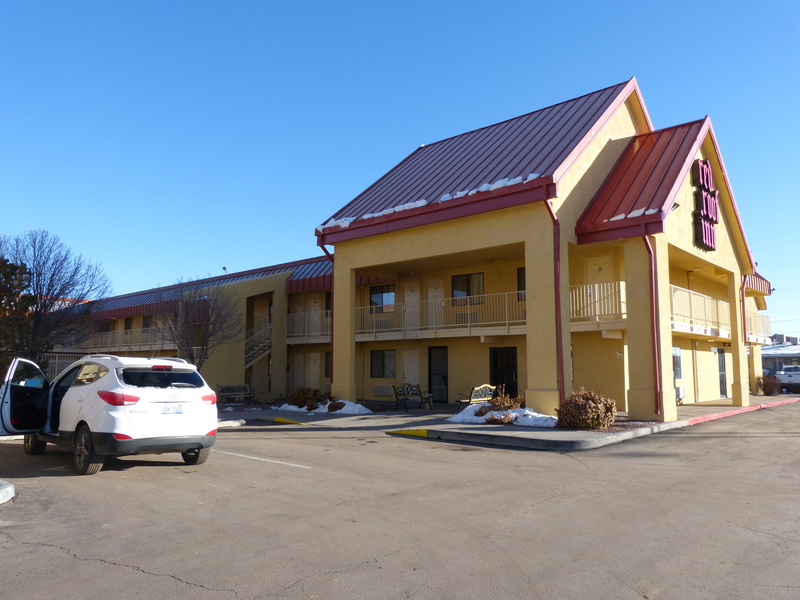 We ended up back on Route 66 in a ‘proper’ motel, the Red Roof Inn just outside Gallup (although our room was probably a lot cleaner and more comfortable than historic travellers might have encountered). 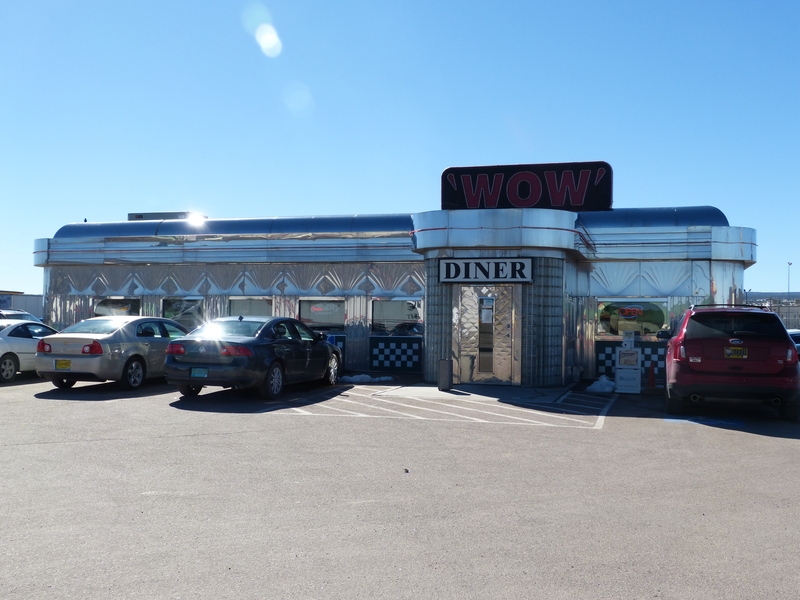 This entry was posted in Exploring, Food and drink, Holidays, Travel, Uncategorized and tagged desert, diners, Four Corners, New Mexico, pueblos by Emma Davidson. Bookmark the permalink.